Hey guys! 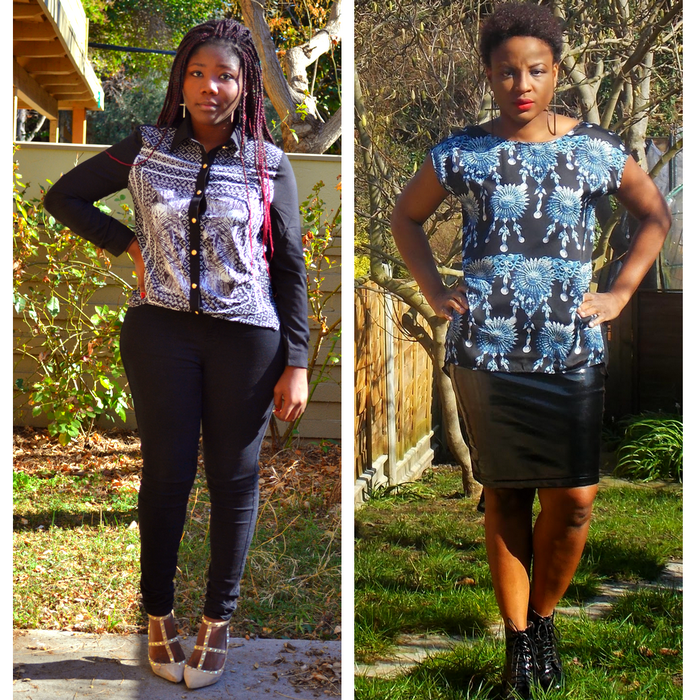 I am pretty happy because I have another blogger style swap for you guys!! This time it is with the lovely Dionne from Miss Afro Dee ! 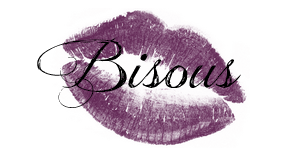 For those unfamiliar with the BSS you can check my first post here. 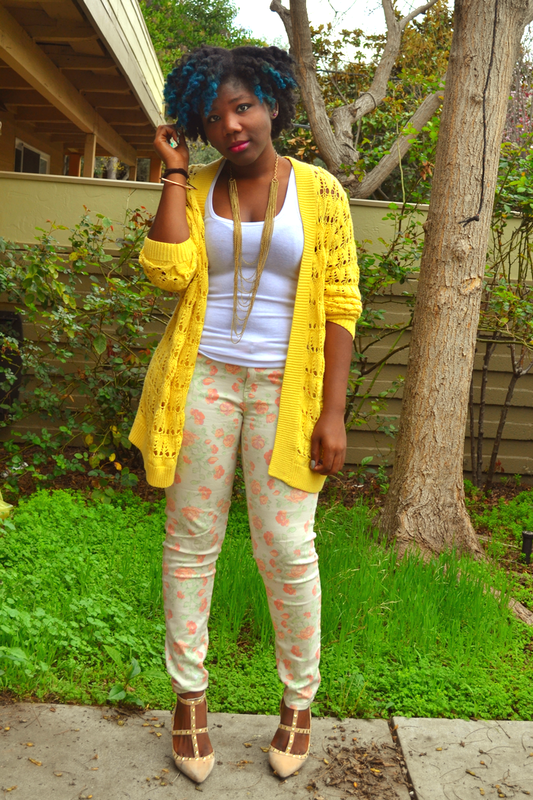 So I have styled this look of hers. 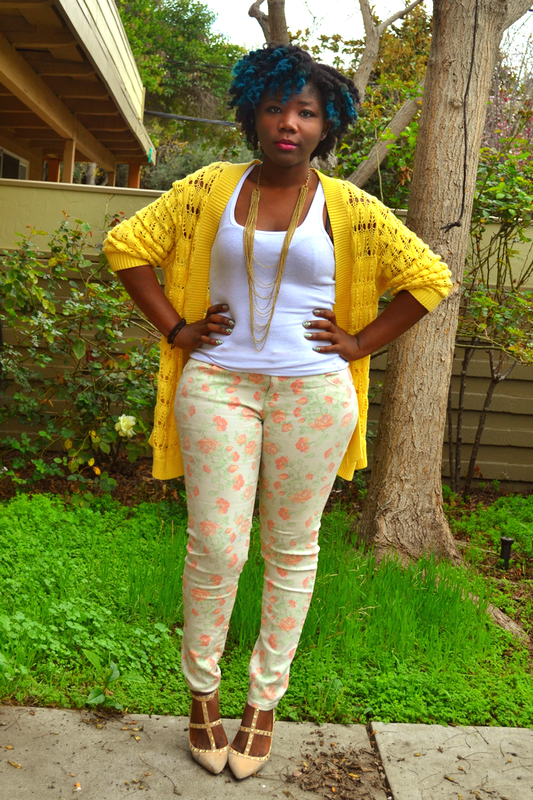 I liked the combo of yellow and floral prints, and this is what I got! 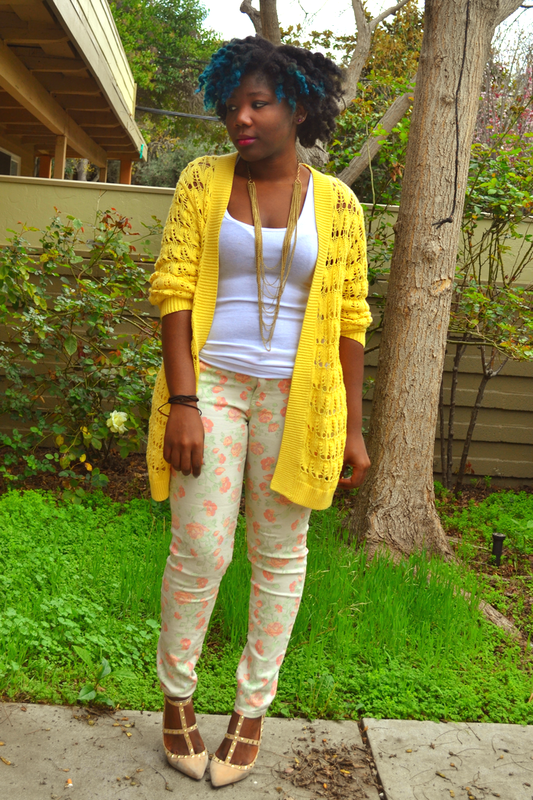 I had this cardigan for the while, and haven't featured it in the blog for at least a year I think :/ anyways, I paired it with my floral pants and a simple white top. Coucou les gens! 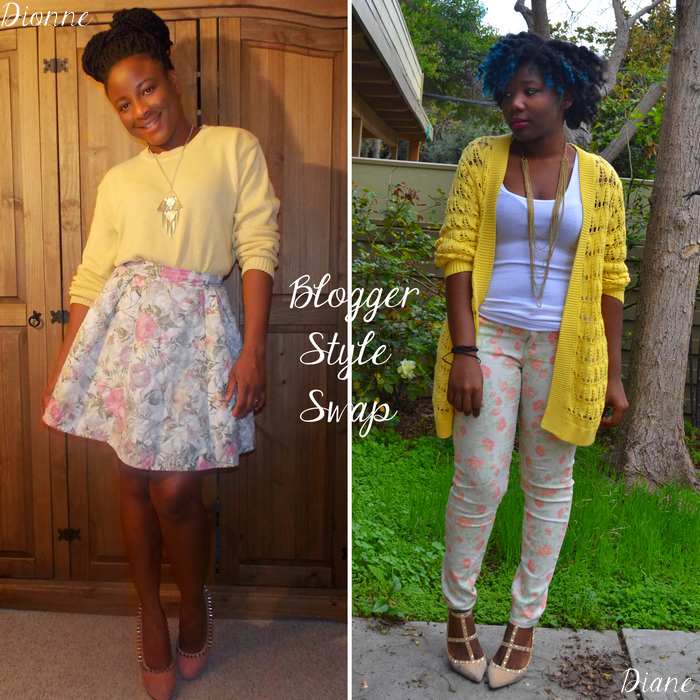 Je suis assez contente vu que j'ai un autre blogger style swap pour vous!! Cette fois-ci c'est avec l'aimable Dionne de Miss Afro Dee ! Pour celles qui ne connaissent pas la BSS vous pouvez voir mon premier post ici. Et donc j'ai style cette tenue d'elle. J'ai bien aime la combinaison du jaune et des imprimes floraux, et c'est ce que j'ai eu comme resultat. 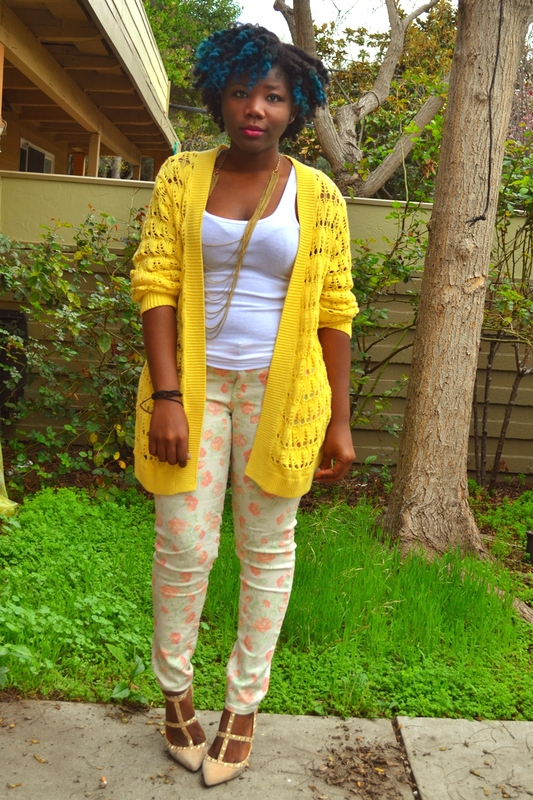 J'ai ce cardigan depuis un bout de temps et je crois que ca doit faire au moins un an que je ne l'avais pas dans un post sur le blog :/ bref, je l'ai porte avec mon pantalon a imprime floral et un simple top blanc. wonderful look. i love yellow! Diane and Dionne..both of you are wearing cool shoes! I love your interpretation of the look- The yellow slouchy jersey is so cool. Jolie tenue au passage, j'aime tes escarpins ! that's a great look on u! 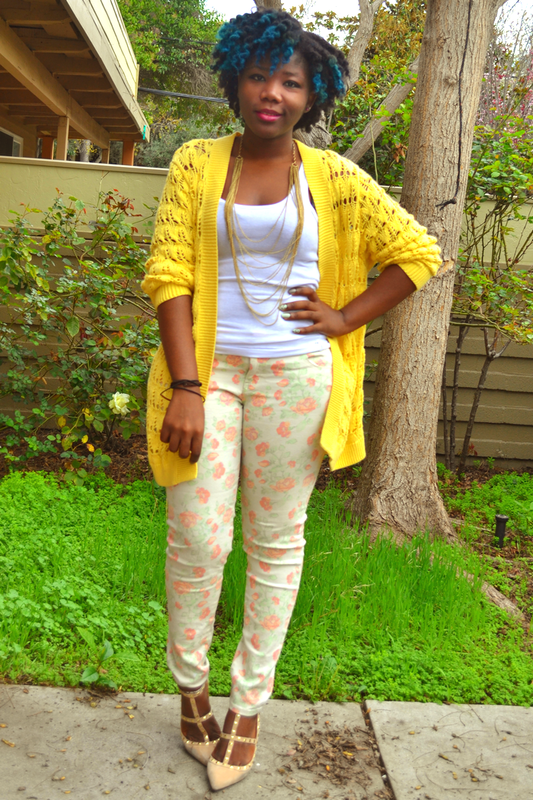 a fabulous take on dionne's sweet look.